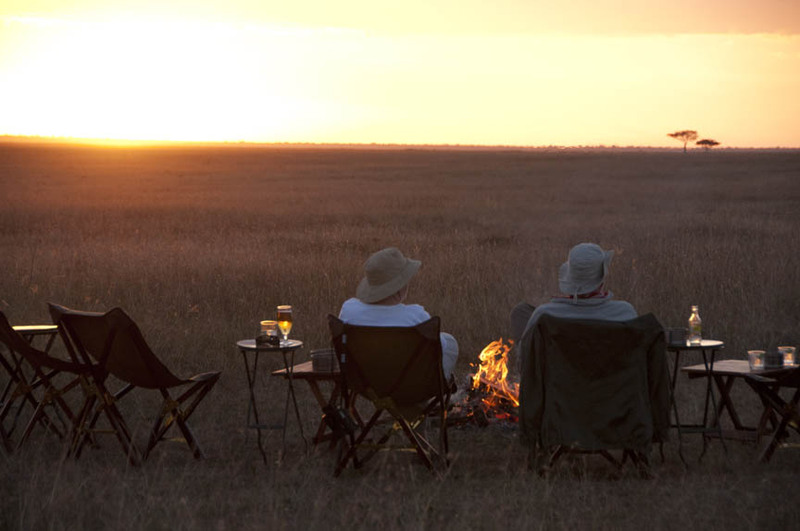 If there’s one thing that’s pretty magical about the Ngorongoro Crater, it’s the view, but until now, the safari camps on the rim haven’t really benefited from it. Well, Entamanu makes up for all of that. As a smaller tented camp, it’s an incredibly peaceful and remote spot, away from the larger busy lodges on the crater rim, and only half an hour down a (bumpy-ish) track into the crater itself. Entamanu itself has just six tents tucked away in the acacia forest on the exclusive “wild side” of the Ngorongoro Crater where there are few other visitors. Tents are up on little wooden platforms, which helps to maximise the views of the crater- they’re ensuite and the décor is very natural feeling, in keeping with this rather wild and elemental spot. There are also two family tents (two tents linked by a shared bathroom). Up here with the wind and the views and the sun it’s been a challenge to blend in effortlessly and create shelter from the elements, but there are down duvets and heaters in the room, and fires crackling in the mess tents to keep them warm at night. 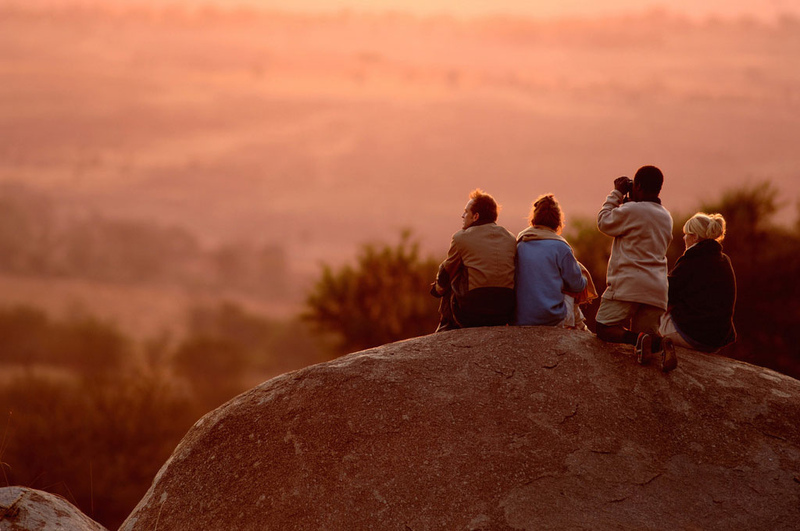 Being at this altitude can sometimes be pretty windy, and sometimes rather chilly, but when you’re in one of the only spots on earth where you can see sunrise over the Ngorongoro Crater, and sunset over the Serengeti, we reckon it’s worth it! What can I do at Entamanu? Most of our safari-goers visiting Entamanu will visit as part of a driving safari with their own guide, taking part in game drives down into the Ngorongoro Crater, and using the camp guides for hikes in the remote but little-visited highlands nearby and also for visits to the local Maasai communities. If you fly in to Manyara airstrip and use the lodge vehicles, your game drives will normally be shared. Giving back at Entamanu: The camp has been designed so it can be removed without leaving a footprint on this extraordinary spot. Wood has been sustainably sourced, and furniture and interiors are made by local artisans. The owners of Entamanu have long been committed towards putting back into the local community and in the Ngorongoro Highlands they work with the Tanzanian Children’s Fund to support education and help fund a teacher at Gyetighi Primary School.